Royal Challengers Bangalore(RCB) will play against the defending champion Chennai Super Kings(CSK) in the opening game of the twelfth edition of Indian Premier League(IPL). The first match of Vivo IPL 2019 will take place at M Chinnaswamy stadium on this Saturday, March 23, 2019. RCB captain Virat Kohli begins practice session at their home ground just ahead of their opening match. 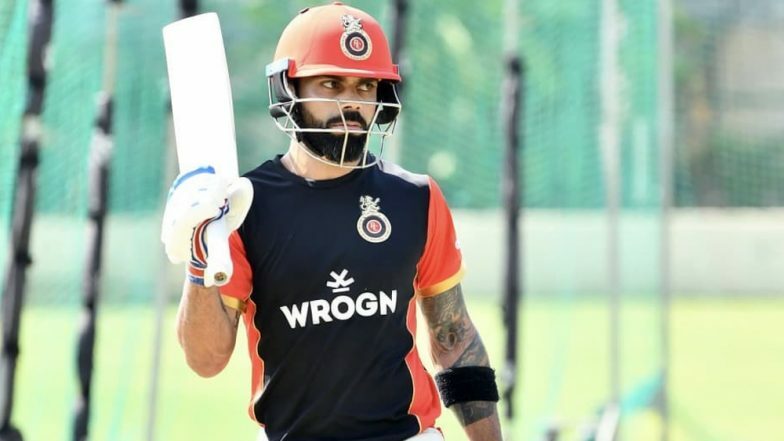 RCB Squad in IPL 2019: Team Profile, Schedule of Royal Challengers Bangalore in VIVO Indian Premier League 12. RCB performance was not up to the mark in the previous season of IPL. They stood on 6th position with 12 points in IPL 2018. With star player like AB de Villiers in the side, Royal Challengers are expected to rank amongst the top 4 teams. RCB has also traded in the Australian all-rounder Marcus Stoinis. Their pace attack will be managed by Tim Southee, Umesh Yadav and Mohammed Siraj. The team also has star spinner Yuzvendra Chahal who bowls with a good economy rate. Vivo IPL 2019: Royal Challengers Bangalore Promises to Go Green on Global Recycling Day. The RCB skipper Kohli batted excellently in the recently concluded ODI series against Australia, where he smashed two consecutive century in a row. RCB team will hope that their captain continues his excellent form and help their team reach deep in the upcoming Vivo IPL 2019 tournament.